Let’s figure out the madness so you can start to feel better, stay in keto, and accomplish your goals. Are you sick and tired of hopping on board the latest food fad, only to feel like a failure a couple months (or a couple hours) later? Sick of the extra weight, the overwhelming anxiety, the never-ending shame spiral? 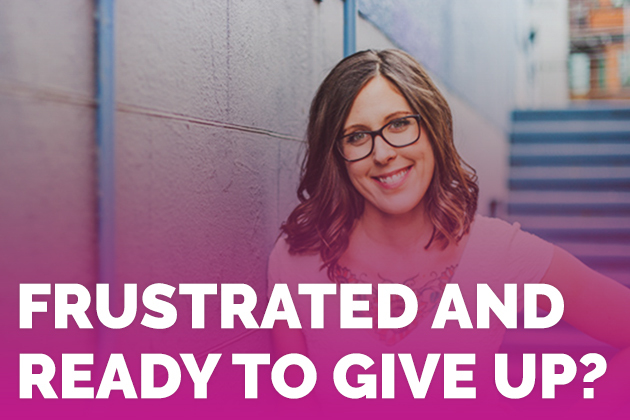 Are you just ready to give up?! Get ready to start feeling better because there just so happens to be a holistic, gentle way out of the madness — that actually works. Yes, you can have balanced meals without measuring. Yes, you can feel comfortable in your clothes without dying at boot camp. And, yes, you can live a fat-burning keto life with ease while you heal your body, once and for all. Ready to figure out the madness and feel better? Now is the perfect time to pick up my best-selling digital download, The Keto Bundle. I’ve just completely revamped the bundle, and I think you’re going to love it. Plus, when you order The Keto Bundle, you get over 20% discount savings as opposed to purchasing all of the products separately. I spent the summer completely rewriting the two best-selling ketogenic programs that make up The Keto Bundle. Revamped, redesigned, re-edited, everything. It’s a brand NEW program with more content, up-to-date information, and a lot of how-to. The Keto Beginning is your complete keto beginner’s guide and in-depth guidebook showing you how to slide into fat-burning mode without needing to go strict low-carb. We’ve added 41 NEW pages with refreshed ideas and updated concepts. Within these pages, you’ll find an in-depth how-to for following the 30-day meal plans, guides on how to take action for gradual change when you’re not motivated, support for adapting to keto when there are digestive issues, and the steps to take when you’re hungry after having a fatty coffee. Perhaps best of all, there’s now boosted support for beginners on overcoming challenges while adapting, including how to cut out grains, reduce carbohydrates, and ditching sugar for good. In addition, we’ve made the program more accessible for everyone by including both metric and standard weight for all ingredients and recipes. We’ve also added a section with facts on current events affecting the ketogenic community. Overall, the program has been edited for clarity and simplicity, and has been redesigned with beautiful infographics and a fresh color scheme. If you’re ready for a change but need to do it in a way that finally honors your body instead of tearing it down — The Keto Bundle is for you. Fat Fueled is your one-of-a-kind support system for regulating your hormones, balancing your mood, and increasing your energy with a saner, more holistic approach to the keto diet. We’ve added 24 NEW pages with refreshed ideas and updated concepts. Within these pages, you’ll find a clearer intuitive meal plan, a 6-week and 7-day practice with body positivity and intuitive eating practices to help you connect to your body, and a section with facts on current events affecting the ketogenic community. One of my favorite additions is the expansion of chapter 6 on healing your imbalances with keto. We’ve expanded on Autoimmunity, Adrenal Dysfunction, Neurological Health, Hormones, Candida, Amenorrhea, and more. We’ve also made the program more accessible for everyone by including both metric and standard weight for all ingredients and recipes. Overall, the program has been edited for clarity and simplicity, and has been redesigned with beautiful infographics and a fresh color scheme. You’ll also be equipped with your very own customization guide, detailing exactly how you can make this keto lifestyle truly yours. Don’t forget the easy peasy weekly shopping lists and more delicious keto-friendly recipes than you can shake a stick of butter at! 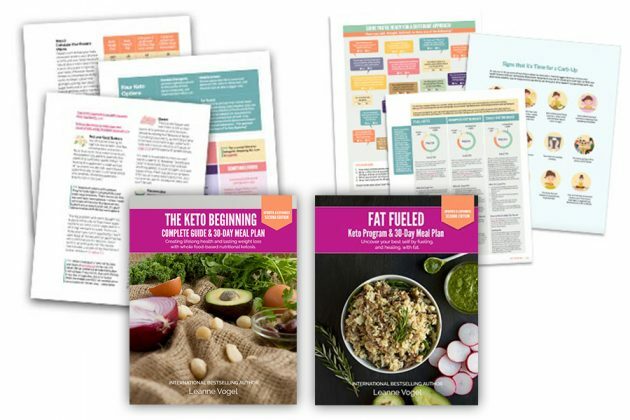 PLUS, each of the programs now come with journaling exercises to help you keep on track, step-by-step guides on food, lifestyle, and diet adjustments, and need-to-know facts addressing pressing issues affecting the ketogenic community. Basically, The Keto Bundle is everything you need to hit the ground running and keep going strong. 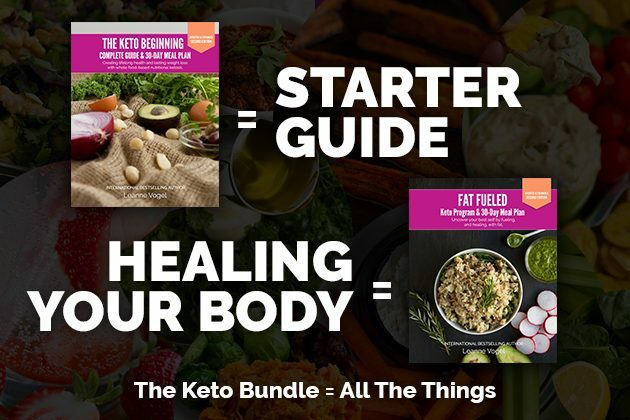 Change your life with your very own copy of The Keto Bundle! The Keto Beginning, recently upgraded & expanded (digital program) shows you why eating high-fat works and what to expect in the first 30 days of eating this way. You’ll be guided through how to boost ketones and introduced to basic keto concepts. Fat Fueled, recently upgraded & expanded (digital program) shows you how to tailor this eating style to make it work for you from a therapeutic perspective. It includes a mindful meal plan, encouraging you to get in touch with your body to create lasting, effortless change. 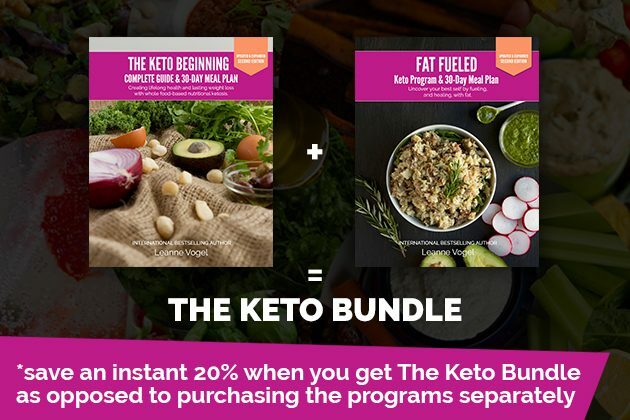 The Keto Bundle (digital program) includes both upgraded and expanded versions of The Keto Beginning and Fat Fueled programs. Note, the upgraded & expanded versions of The Keto Beginning and Fat Fueled are only available as downloadable digital programs. The audiobook versions of these programs have not been upgraded and expanded. 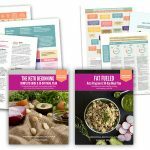 If you’re fully committed to living a high-fat, fat-fueled lifestyle, I would suggest picking up The Keto Bundle so that you can understand exactly why it works, how it can work for you, and how to make it work for you. The combination of incredibly helpful guides provides you with the now-how to stay in ketosis and feel better by the day. Plus, it costs less to pick up the books together as The Keto Bundle then it does to purchase each book separately. In fact, you’ll save 20% by bundling them together! The Keto Bundle is everything you need to get started on the keto path, make it work just for you, and maintain your successes for the long haul. If you’re sick and tired of being sick and tired, if you’re ready for real, lasting change — then look no further than The Keto Bundle.